NIGERIAN industrial Pharmacists weekend, decried absence of medicine security in the country, saying “only 25 percent of the total medicines used in the country are indigenously manufactured despite government policy that 70 per cent of medicines should be manufactured in the country. Announcing its forthcoming 21st Annual National Conference billed to hold in Kwara, 17th April through 20th April, 2018, the industrial pharmacists under the auspices of Association of Industrial Pharmacists of Nigeria, NAIP, urged government to enact policies that would guarantee medicines security. Speaking, the National chairman, Pharm. Ignatius Anukwu who described the environment in which they practice as ‘strangulating’ said water was the only local content that goes into medicines produced in Nigeria while other materials are imported. 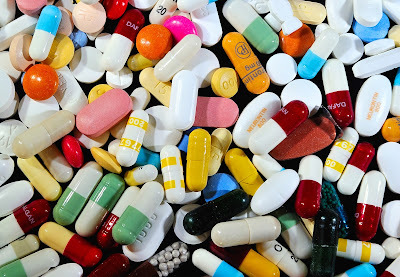 Anukwu who noted that Nigeria depends largely on imported medicines for about 80 per cent of medicinal needs, declared that government has failed to give adequate protection to indigenous pharmaceutical companies. He said: “The government has not given the industry reasonable patronage over the years. Where they did, the companies have been owed for months, or even years. As we speak, some of the companies have been owed for five years for supplies made to government. “Notwithstanding, Nigeria Pharmaceutical industry has a potential market value of between U$800 million and more than U$2billion annually.